Dearborn is a historical town which is home to some of Michigan’s leading attractions. This includes The Henry Ford Museum, Greenfield Village, IMAX Theatre and Ford Rouge Factory Tours – these attract over 1.5 million visitors per year. Dearborn, Michigan is a cultural city with over 90 special events and festivals throughout the year. Dearborn boasts the oldest and longest-running Memorial Day Parade. Dearborn includes recreational centers, ethnic restaurants, yoga studios, gyms and upscale clubs and night spots. Dearborn Hills Golf Course was built in 1922 by a prominent local developer. It is one of Michigan’s oldest golf courses and is listed historically with the State Register of Historic Sites. Michigan’s Best Golf Course Award was given by The Detroit News and was featured in Golf Digest. An amazing golf club-house was added in 1995 boasting over 7,000 sq. feet. It contains a bar, pro shop, banquet facilities and an outdoor patio with beautiful views. Annually they host several events including weddings, receptions, bar-mitzvahs and parties of all kinds. Dearborn has over 375 acres of parks and public land and boasts over 35 parks for Dearborn Residents. There are neighborhood parks, community parks and mini-parks. There are twenty parks classified as mini-parks and they generally focus on playground equipment for elementary school children and some toddlers. They often contain open space, benches and picnic amenities. Neighborhood parks in Dearborn, Michigan offer area for recreational things such as fields, playgrounds, skating, pools, walking and court games, in addition to picnic areas. Dearborn’s summer programs include baseball and sports camps for the area youth, which are typically held at these parks. Dearborn, Michigan is proud to offer seven parks that are determined to be Community Parks because of their opportunities, vast size and population that they serve. They always contain off-street parking and have many amenities including restrooms and picnic or shelter areas. They include playscapes and have teams of people that maintain them. This includes Ford Field, Crowley, Hemlock, Lapeer and Levagood. The City of Dearborn Recreation Center includes a Leisure Pool with zero-depth entrance, a waterslide, a lazy river and spa. They boast a Lap Pool with six twenty-five-yard lap lanes, a 12 foot diving well, and outdoor terrace, water exercise classes, lessons and other special programs. There are two full court gymnasiums, basketball courts and volleyball courts. The City of Dearborn Recreation Center includes dance and aerobic are that include a cushioned wood floor, sound system and a variety of classes offered. A fitness area includes cardio equipment, machine weights and dumbbells. There is a 30-ft rock-climbing wall and they offer instructional classes. In addition to all of these amenities there is also a walking/running track which has three lanes, a cushioned surface and 11 laps per square mile. If none of the recreational areas are for you, consider moving here due to the culture, information and technology you can find in places like the Dearborn Historical Museum. These facilities alone offer three historical buildings and a diverse range of artifacts, paper documents, photos and books to reflect the local heritage. They also have publications and special events. 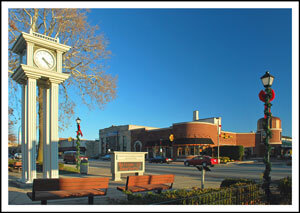 Overall Dearborn is a culturally and historically rich city boasting many activities and events for your family. The real estate market is growing and offers every advantage you or your family would need. There are several housing styles available and Allison would love to show you one – Allison@AllisonMovesYou.com!